With SBA construction loan volume booming, ensure successful loan guarantees and lower the risk of default. One of the biggest trends in 2018 involving Small Business Administration construction lending, at both national and regional conferences and client events alike, is the resounding feedback from SBA advisory panels on the need for concentration on SOP-appropriate construction monitoring with third-party funds disbursement. Although many lending institutions have a system in place for conventional loans, the SBA specifically references the only blanket alternative to bonding being when “a third party in the business of providing construction risk management services controls the disbursement of proceeds.” The lender must also “document in its file that the construction was completed in conformance with the plans and specifications and that all lien waivers and releases from all material men, contractors, and subcontractors involved in the construction have been obtained.” (SOP 50 10 5 J Page 208-209) This applies to any loan with SBA guaranteed construction component proceeds above $350,000. This has become a pressing issue as construction loan approval volume, particularly for small business loans, has skyrocketed, fueled by a strong economy and robust job sector, and the rapid business growth that comes with it. Existing business owners are expanding their facilities with additional space, and renovating for tenant and rent improvement and rent value-add. New business construction has also proliferated at the same time. With a growth in volume comes an added risk of loan default. The SBA does not administer loans themselves – they are a partner lender. SBA loans are a government program in which the SBA guarantees a percentage of a small business’s loan on behalf of the borrower. This means that if a small business with an SBA-guaranteed loan can’t pay back their loan, the SBA will be responsible for a set portion of that loan. As most defaults that occur in construction projects are payment related, the SBA is trying to encourage proactively identifying when issues could arise throughout the construction process. This is a service to your borrower, as well as a protection for the lender, to ensure that the funds are being used properly and on YOUR project! When executed properly, construction progress monitoring combined with funds control and disbursement ensure that loan proceeds are going into the project as intended. For example, suppose an existing dental office is looking to expand and upgrade existing facilities. A pre-construction budget review will go over each line item to make sure existing loan logistics work in the short and long-term. Are you budgeting for Formica counter tops and simple cabinetry finishes, but you end up with marble and much higher-grade cabinetry? A simple omission like this could end up raising the risk of default. A budget review also makes sure that specific funds are allocated to specific line items, which becomes important if contractors are managing multiple projects or portfolios. The funds controls process needs to not only verify percentage complete through review of monthly pay application requests, but also audit each line item against invoices/vouchers, lien waivers, change orders, and audit support documentation. To preserve the SBA guarantee, loan files need to maintain detailed paper trails to show that the process is being carefully safeguarded. Although many lenders encourage and use third-party funds disbursement, SBA loans are unique in that they mandate this as a compliance to bond alternatives within their SOP, as stated above. Loan proceeds include the ability to roll in administrative costs, which help small business owners absorb most, if not all, of the cost of the fees incurred through the review, monitoring, and funds disbursement procedures required of SBA loans. Now, more than ever, developers and small business owners looking to successfully qualify for SBA loan transactions, and ensure that they lower the risk of default on their projects, must partner with an experienced, knowledgeable consultant to help navigate the complexities and documentation of the SBA loan process. In particular, choose a consultant with SBA-specific construction experience meeting the SOP requirements with Construction Progress Monitoring including both Funds Disbursement and Cost Completion Commitment services. 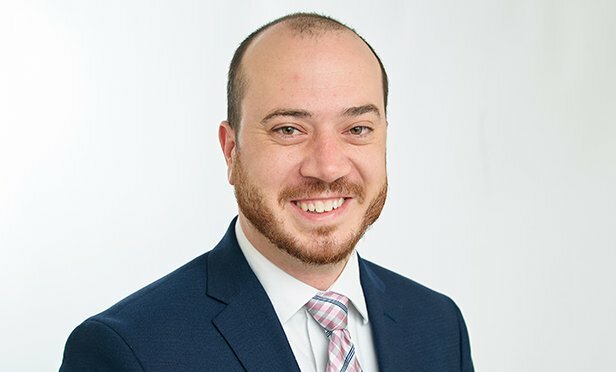 AJ Nosek combines his business background with technical knowledge and experience for managing lender due diligence services with real estate lending clients including SBA, community, regional, and national lenders. He also serves a variety of developers, attorneys, mortgage brokers, CDCs, individual property owners, and municipal clients in physical condition risk assessment. He concentrates on lender policy development, property condition concerns including environmental assessments, construction monitoring, physical condition assessments, appraisal compliance, and lender risk associated with any property type throughout the U.S. and Canada. Mr. Nosek and his team provide a wide range of solutions and consulting services for environmental, construction and appraisal compliance from basic reviews to full outsourced programs. These include environmental services such as Phase I Environmental Site Assessments and Record Search with Risk Assessment, Transaction Screen Assessments, and others; remedial cost estimates; physical condition services; industrial hygiene services; and construction monitoring, disbursement, cost, schedule and surveying services. Mr. Nosek has a BS from SUNY Empire State and an MBA from D’Youville College.